Stellar BLACK ESD Flooring POPS! Our NEW Stellar Black ESD Flooring provides dramatic and impressive design opportunities. White equipment and walls POP! 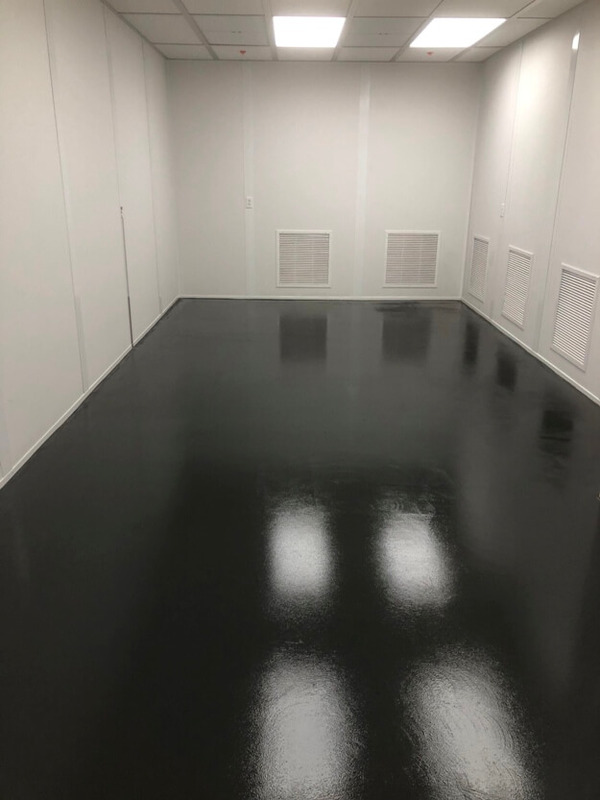 Stellar Black showcases your facility while providing the same wear resistance, value, longevity and permanent static control properties that have made ElectraGuard a LEGEND in ESD Control Flooring. This photo shows the product in use in one of 27 class 10,000 clean rooms. Careful preparation of the substrate provides a SEAMLESS floor for the Ultimate in easy carefree maintenance and cleanliness. Pair this selection with a PROFESSIONAL installation and ANSI Certification from United Static Control Products and enjoy a hassle free experience with a report that provides indisputable PROOF that your floor is performing FLAWLESSLY.